Hearing loss in the pediatric population is often a source of anxiety both for families and health professionals, with current rehabilitation options mainly consisting of hearing aids and cochlear implants. 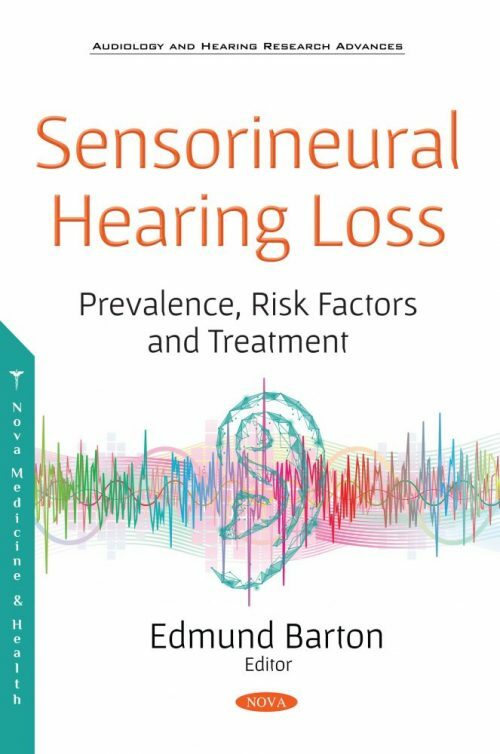 As such, the authors of Sensorineural Hearing Loss: Prevalence, Risk Factors and Treatment present an overview of the causes of progressive hearing loss (both congenital and acquired) and explore the management of this condition. Sensorineural hearing loss, if not properly treated, may likely compromise speech and, consequently, the psychosocial development of the affected child. Therefore, early diagnosis and treatment has a significant impact on the likelihood of hearing rehabilitation and on social development. The authors provide an analysis of the prevalence, stratification of risk factors, and the most appropriate treatment for sensorineural hearing loss. The authors go on to review the role of the gender medicine in the field of audiology. Currently, there is growing interest on the effects of gender differences on the pathophysiology and pharmacology of several disorders; however, there is still few data about the relationship between gender-related factors and hearing loss. This compilation also proposes hyperbaric oxygenation as an adjunct therapy in the treatment of sudden sensorineural hearing loss. The authors take into consideration the physiologic, biochemical and cellular effect of oxygenation on the human brain and body. The authors discuss congenital cytomegalovirus infection, the most common cause of nonhereditary sensorineural hearing loss during childhood worldwide. It affects 0.2% to 2.5% of all live-born neonates and the highest incidence occurs in developing countries, where 1% to 5% of all live births can be infected. An overview of hearing loss caused by the Zika virus infection (both congenital and adult) is provided and a discussion on the management of this condition is explored. First isolated in 1947, Zika virus rose to prominence after its outbreak in Latin America in 2015. Due to a high incidence of microcephaly in the Brazilian northeast, the correlation between Zika virus infection during pregnancy and this congenital malformation was recognized. With 30-35% of people suffering from presbycusis, also known as “age-related hearing loss”, it is the leading cause of hearing impairment among the elderly. Even though it is a multifactorial disease, its prevalence increases with aging and is higher among men. The authors propose that once age-related hearing loss has been diagnosed, the possibility of benefiting from conventional hearing aids should be taken into account according to hearing test results.